20 Rooms, 9 Bedrooms, 6 full and 2 half baths, 3 car garage, 5 fireplaces, grand open spaces, soaring ceilings, custom moldings throughout, spectacular 3.1 acre property with heated in-ground pool with pool house, and so much more. The impressive Entrance Hall, with grand staircase, massive arched doorways, soaring ceilings and two walk-in closets, offers guests a glimpse of the grandeur that awaits every turn. 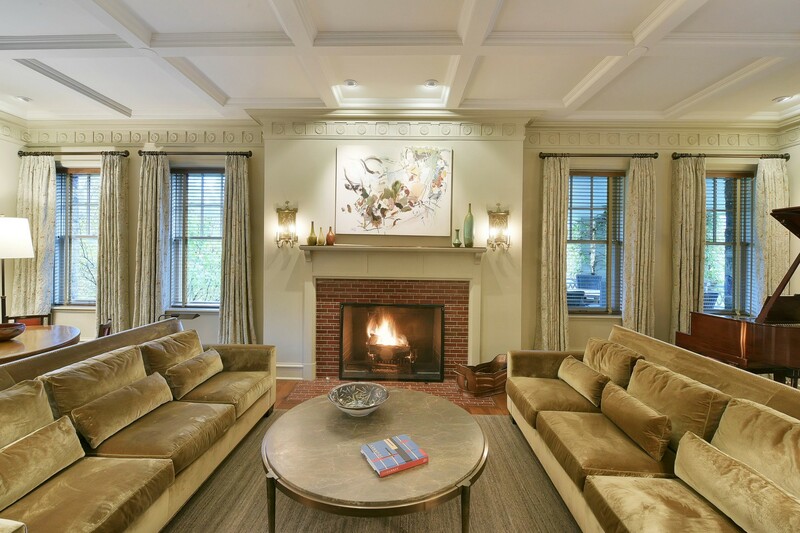 Flanking the Entrance Hall are an elegant, expansive fireside Living Room and banquet-sized formal fireside Dining Room, offering spaces that are perfect for both intimate gatherings and large events. 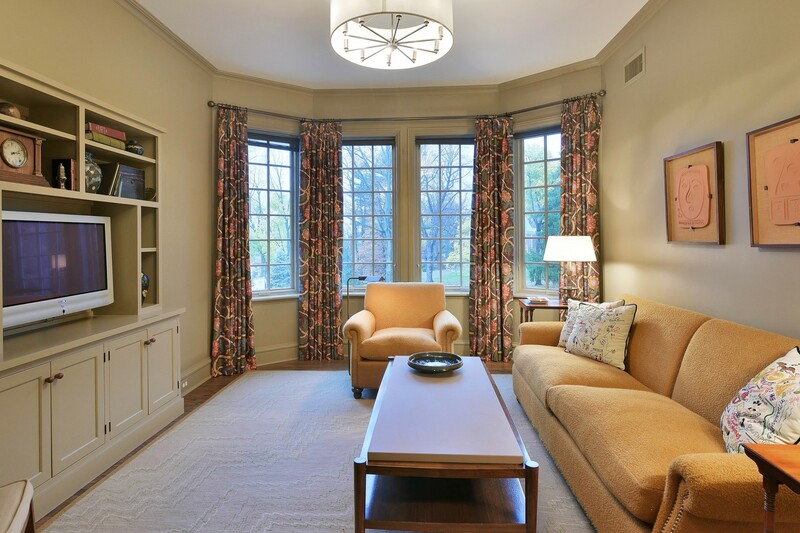 A fireside Library with floor to ceiling bookcases offers a welcomed retreat. At the very heart of the home is an open concept Kitchen and Family Room with walls of windows overlooking the lush grounds. The gourmet Kitchen is high-end, embellished with neutral custom cabinetry, travertine and wood countertops, professional-grade Viking, Sub-Zero and Gaggenau appliances and a massive center island with seating and additional dishwashing and refrigeration conveniences. Nearby is a well-equipped Butler’s Pantry with double sink and two oversized walk-in pantries, one with a Sub-Zero ice maker and one with a Traulsen freezer. Also nearby are a convenient office with two built-in desks and storage, large mudroom with exterior access to the parking court, additional first floor Powder Room and a heated 2 car oversized attached garage. 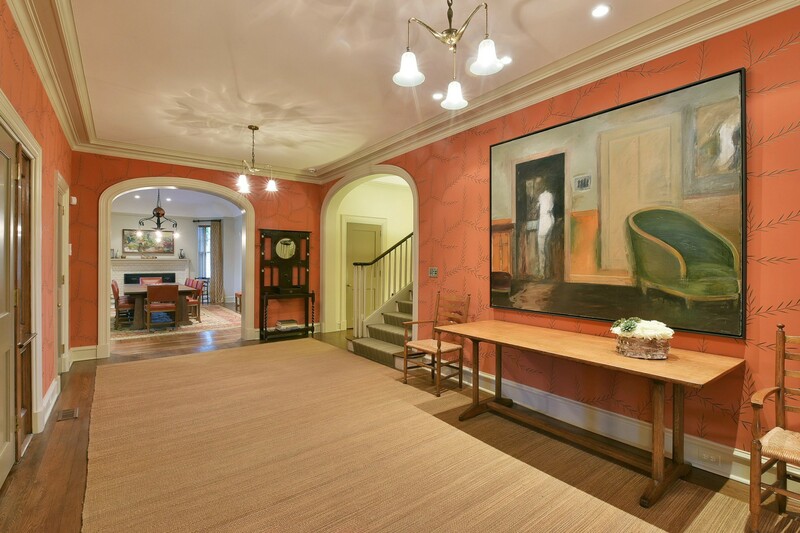 On the Upper Floors are no less than 9 spacious and bright bedrooms, 5 full baths, an ideally located sitting room, walk-in linen closets, built-ins, high ceilings, arched doorways and elegant moldings. The luxurious Master Bedroom Suite is reminiscent of a Bed and Breakfast, offering the homeowner a serene, generously sized fireside bedroom with sitting area, two walk-in custom-fitted closets and a spa-like Master Bath retreat featuring large windows, two separated oversized vanities, walk-in shower, soaking tub and separate commode. Other bedrooms boast custom closets, high-quality baths, window seats and walls of windows. A rear staircase, from the Lower Level to the Second Floor, offers convenient access from the heart of the home to the bedroom quarters. 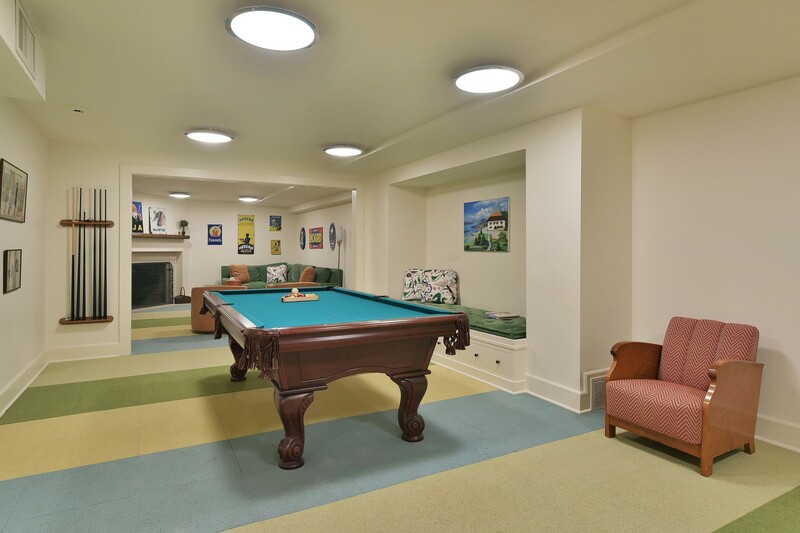 The Lower Level is expansive, with an assortment of rooms created for the individual tastes of its occupants, featuring a Billiard Room, Game Room, Play Room, Exercise Room, Wine Cellar, Storage Room and capacious Laundry Center with exterior entrance, abundant storage, large countertop with sink and double front loading washers and dryers. 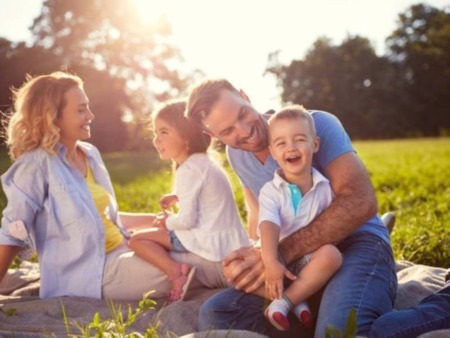 The technical systems are exactly what one would expect in a home of this caliber, with sophisticated state-of-the-art heating and cooling systems, security systems, music systems, telephone system and whole-house ultra-capacity built-in generator. The grounds are breathtaking with expansive sweeping lawns and privacy all around. 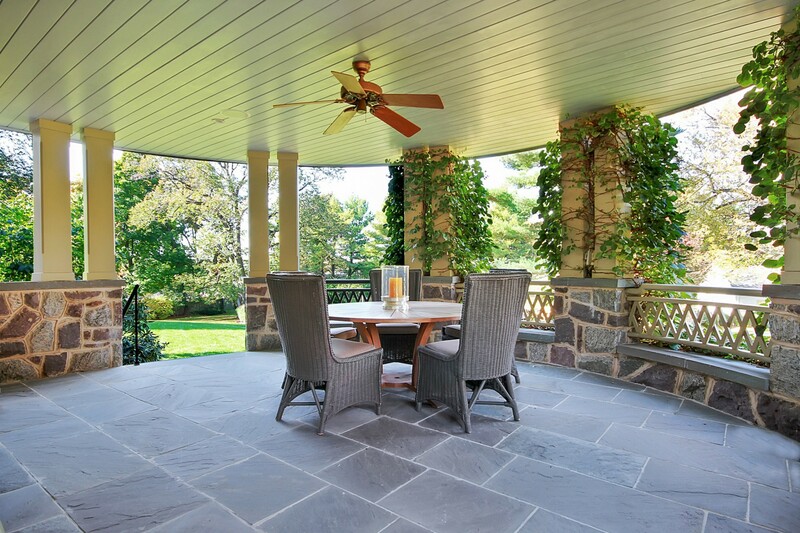 The wrap-around custom bluestone porch, surrounding the entire front of the residence and culminating on the western end as a gazebo-like rotunda, offers protection from the elements and additionally affords delightful views of the lush park-like property. From morning coffee to late night dinner parties, there isn’t a more perfect place to start or finish the day. 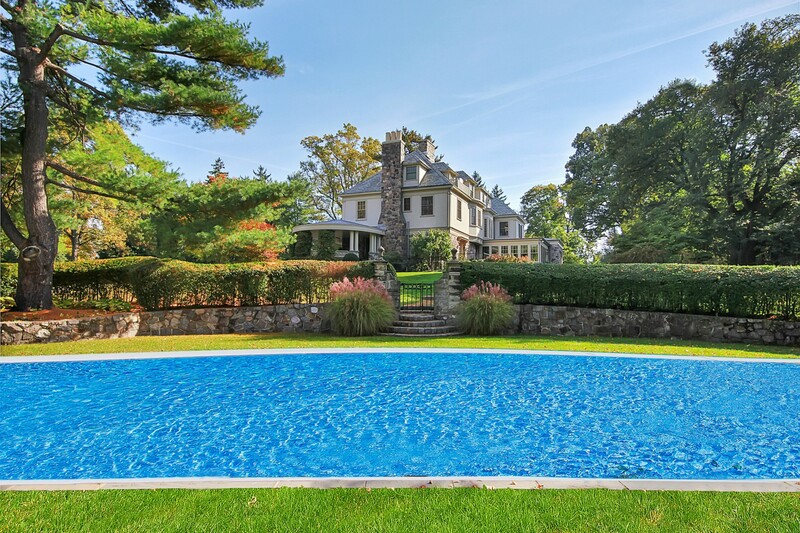 At the end of the sweeping lawns is a wonderful surprise -- an idyllic heated in-ground pool, totally secluded from the rest of the world and located near a welcoming pergola offering a tranquil retreat from the warm summer sun. 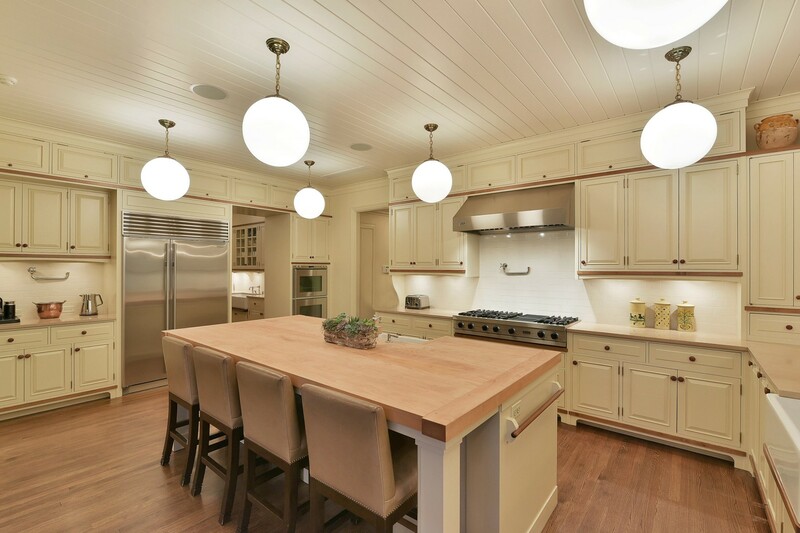 The nearby pool house affords easy outdoor entertaining, boasting a summer kitchen, bath facilities including two separate shower rooms and an oversized garage with ample additional storage. 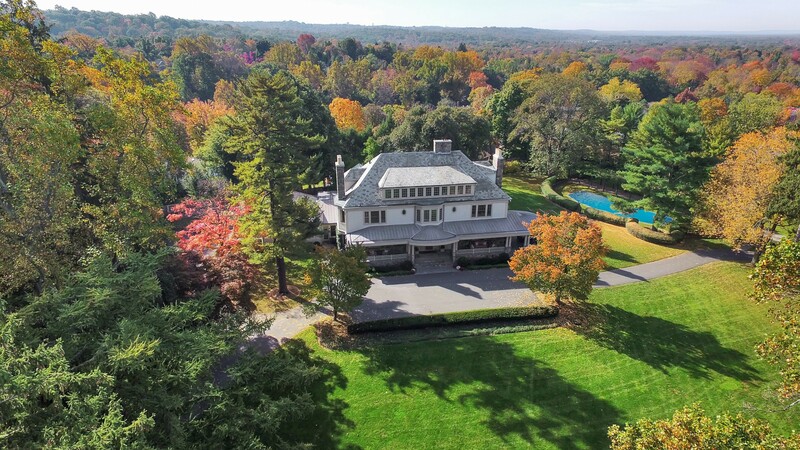 This estate awaits that extraordinary buyer who appreciates fine old-world craftsmanship, modern conveniences and all that Summit and its close proximity to New York City has to offer.